Vera's birth announcement. She was born in hiding, so a doctor came to help from across the street. 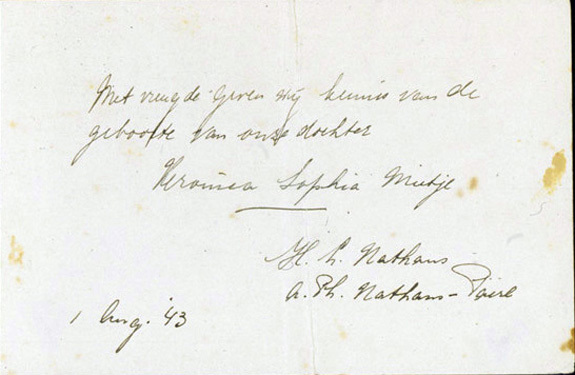 It reads "With happiness we announce the birth of our daughter Veronica Sophie Mietje. H.L. Nathans ["Hemmy," Vera’s father], A. Ph. Nathans-Paerl [Anna Philine, Vera’s mother]. 1 Aug. 1943."